The old Benedictine monastery of Sant Pau del Camp is one of the most important Romanesque monumental ensembles preserved in Barcelona and one of the most unknown architectural treasures of the city. Riosta Barcelona approaches you to the building from a historical, artistic, architectural and symbolic point of view and discover its spaces. Visit the church and the cloister, which for its particular architecture is considered one of the most unique works of Romanesque art and one of the most outstanding elements of the whole architectural ensemble. 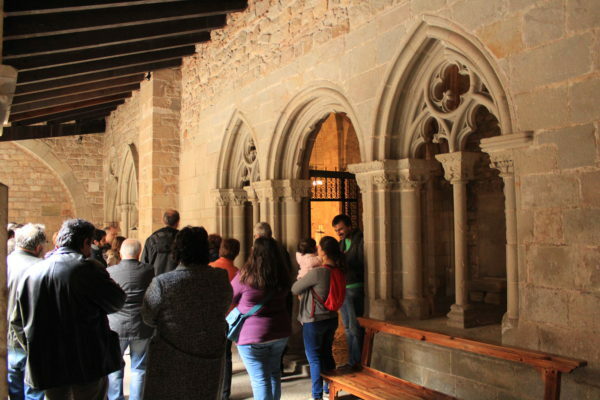 Walk through the rooms of the old monastery, such as the chapterhouse, and know the evolution of the monastery in relation to the neighbourhood where it is located, the Raval, ​​one of the places with more history of the city. Get to know the old Benedictine monastery of Sant Pau del Camp, one of the most important Romanesque monumental ensembles preserved in Barcelona and one of the most unknown architectural treasures of the city. You must arrive to the meeting point 10 minutes before the start of the activity. Meeting point: Entrance of the old monastery of Sant Pau del Camp. (Carrer de Sant Pau del Camp, 101, 08001 Barcelona).